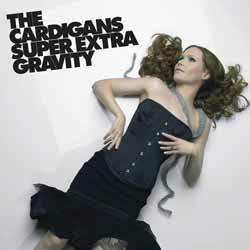 Super Extra Gravity (2005) is The Cardigan's sixth studio album and this is the first time it's been released on vinyl, which will no doubt delight lovers of the format. The band shifts even further into country and alternative rock. Nina Persson's vocal's are now totally unrecognisable. I had to check online, when I first listened to the later albums, that she hadn't been replaced. Personally, I feel that her voice has got stronger and more confident as the band's output has progressed. This LP contains 11 tracks (40 min, 29 sec) and it might have been one album too many. Long Gone Before Daylight was a step in the direction, as the band matured and moved away from its original sound. Sadly, Super Extra Gravity doesn't deliver anything that really stands out. 'Godspell' (which was to be the album's third single, but was never actually released) is probably the one stand out track. One for completists only.